The garden shed has made an amazing transformation over the last few years. Homeowners and renters are no longer satisfied with a little wooden shed in the back corner of the yard. Sheds now have to look good, as they are becoming a focal point in our outdoor living spaces and an asset in the backyard of a rental property. There are two reasons why this is happening. The first: backyards are getting smaller as homes are getting bigger. The available space outside is shrinking, which means that we can’t hide our beat-up tin sheds behind a large bush anymore. 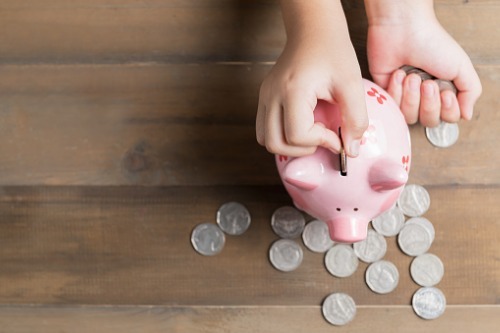 The other reason has to do with our need for more. With all of the fantastic tools and outdoor furniture available, our need for storage has increased dramatically as we acquire more things. This means that our sheds are getting larger, making them even harder to keep discrete. A shed is considered ‘outdoor’ storage and like the indoors, storage is always in demand by renters and by future buyers. Instead of helping my clients hide their sheds, I am bringing them front and centre. 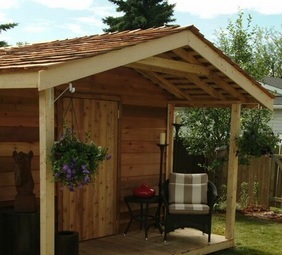 Here are two perfect examples of how sheds can be so much more in your property's backyard space. I used a saltbox roof-styled shed to both anchor Tracy’s backyard, but also to hide the neighbour’s two-storey house which towered over the back fence. The average height of a peaked roof on these new sheds is between 12 and 15 feet, and by adding a pair of lattice panels topped with a decorative arbour, I was able to create instant privacy that is beautiful and functional at the same time. Behind each lattice panel, I added a Red Sunset Maple, which is one of the smaller and yet most colourful of the maple family. These trees will continue to fill in the space around the back of the shed, adding more privacy but also adding amazing red fall colour as early as September. 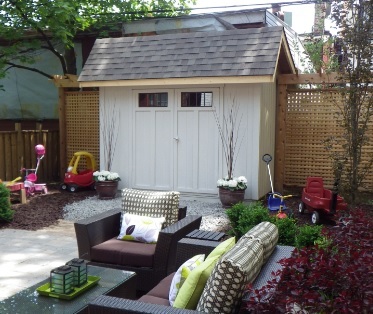 My favourite part of this transformation is that the shed not only holds all of the tools, but Tracy’s kids have hijacked the space as their playhouse, making it multi-purpose for the whole family. Shoana, like Tracy, wanted a shed at the back of her property but for a very different reason. Shoana wanted to use her shed as a backdrop for a long and linear space. With a modern aesthetic, Shoana wanted her shed to blend with the grey tones of her patio and fire pit, but also to have character and personality that is often lacking in modern design. In this case, I covered a simple asymmetrical panel shed with a stone veneer. These veneers are thinly sliced sheets of stone that took about five hours to install, but completely changed the look of the shed. 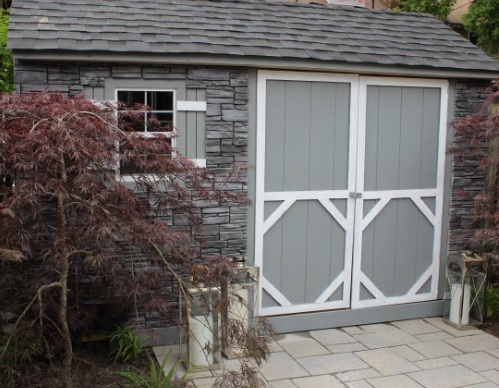 If you are planning this type of transformation to your own shed, make sure that the walls are re-enforced to handle the extra weight of the stone. Also, consider adding the stone to just the visible walls to save a little money. With so many ways to make your property's outdoor shed more than a storage space, why wouldn’t you want to make a change? If you are planning to add a shed, or maybe change the location of your shed, consider installing it along the side of the yard instead of the tradition location on the back fence. This way, you can access your shed in the winter without having to shovel a path all the way to the back. Also, consider that a shed increases the perceived value of you space. A modern and well-cared for shed is an excellent way to not only increase your property's value, it's also a way to create a spot to hide all of the outdoor clutter that you don’t want anyone to see! 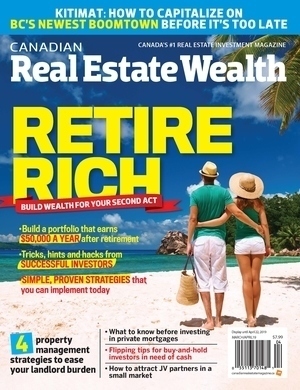 Carson Arthur is a landscape design expert and host of TV programs such as 'Green Force' and 'Room to Grow.' He can be reached at www.carsonarthur.com.